Knack, a peer tutoring platform aimed at college students, is taking a different approach than some online tutoring marketplaces have in the past. 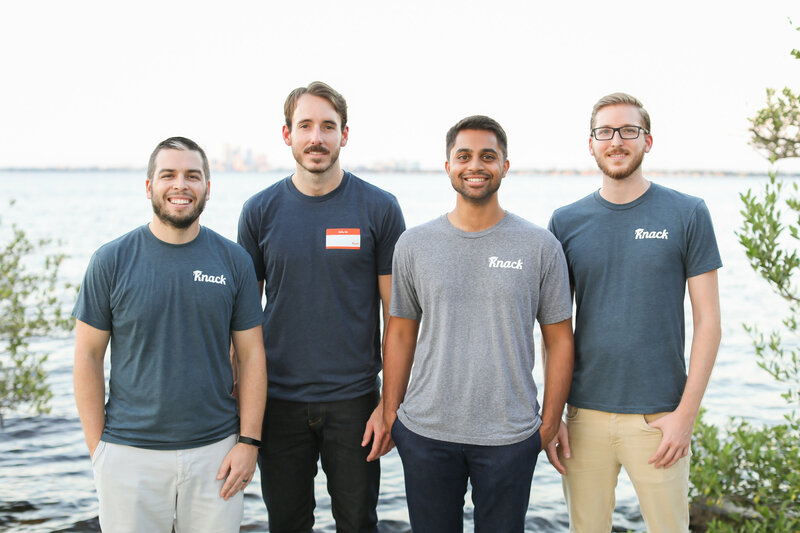 As a result, the Florida-based startup has raised a $1.5 million seed round co-led by Charles Hudson’s Precursor Ventures and Tampa Bay Lighting owner and Fenway Sports Group Partner, Jeff Vinik. Other investors in the round include Bisk Ventures, the corporate venture-arm of Bisk Education; Arizona State University Enterprise Partners; Doug Feirstein, founder of Hired, uSell, and LiveOps; former State of Florida CFO Alex Sink; Tom DiBenedetto of Fenway Sports Group; PAR Inc.; and Elysium Venture Capital. While many tutoring marketplaces have focused on only connecting students with others who could help them with their studies, Knack has instead also been focusing on adding institutional partners as its customers. Today, it works with more than 50 colleges across the U.S., like seed investor ASU, which is licensing Knack to modernize their student support services and increase access to supplemental help for students. “Although most universities already have on-campus tutoring centers,” explains company co-founder and CEO Samyr Qureshi, “Knack partners with institutions as a technology-enabled supplemental solution, filling in the gaps by increasing course and topical coverage for nuanced courses that campus learning centers may not be able to cover due to budgetary and resource constraints,” he says. In addition, Knack is also now working with corporate employer sponsors like PwC and ConnectWise, which want to engage with high-potential students from Knack’s campus networks. “We’re focusing on the full life cycle of learning from ‘I need some help on Knack’ to ‘I can offer help through Knack’ to ‘my skills built and showcased through Knack helped me land a job,'” notes Qureshi. The CEO says he was inspired to work in the edtech space because, as a first-generation immigrant, education has been at the forefront of his life. His mother brought Qureshi and his sister to the U.S. to allow them to pursue college degrees. During his own time in school, Qureshi both sought tutoring and provided tutoring, which led him to believe that one of the best ways to learn was from a peer. In 2016, the startup applied to the University of Florida’s Business Plan Competition and took home first place, winning a $25,000 cash prize. That opened the door to venture capital, and its first pre-seed round of funding. While institutions and businesses are the focus in terms of monetization, Knack still caters directly to students today. Those who need help with their coursework can use Knack to book tutoring, and those who want to offer their skills can create a tutoring profile with basic info, like their bio, courses, rates and availability. The platform then handles all the logistics, including searching, matching, scheduling, tracking, billing and rating and reviewing. Knack takes a 20 percent service fee on this tier of its service. University partners are on a SaaS-based annual platform, and Employer partners are charged a sponsorship amount depending on their targeting criteria. The team of eight is based in Tampa, Florida and plans to use the seed funding for sales and marketing, as well as making some key engineering hires, the CEO says.